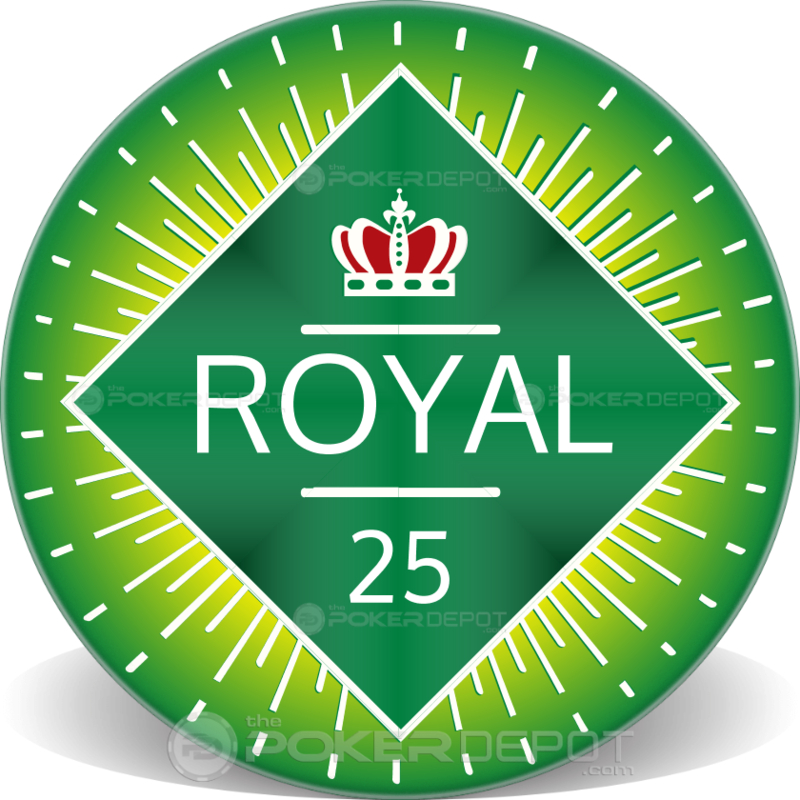 Design a custom royal crown themed ceramic poker chip online! Upload your custom logo, photo or graphics. Select "Customize More" to personalize your chip graphics, text and more. Not a designer? No problem - select a professional design package below and be the king of your castle with a customized poker room or man-cave poker chip set. Colors may differentiate slightly from the screen to the final printed product. Average production time is 2 business weeks. Please check our FAQ or Contact Us for any questions you may have about designing your own custom king's crown ceramic poker chips. Customize Your Ceramic Poker Chips! Customized Ceramic Poker Chips are made using state of the art Digital Fusion Technology (DFT) to fuse the image directly to the substrate. Vertical alignment from front to back is included. 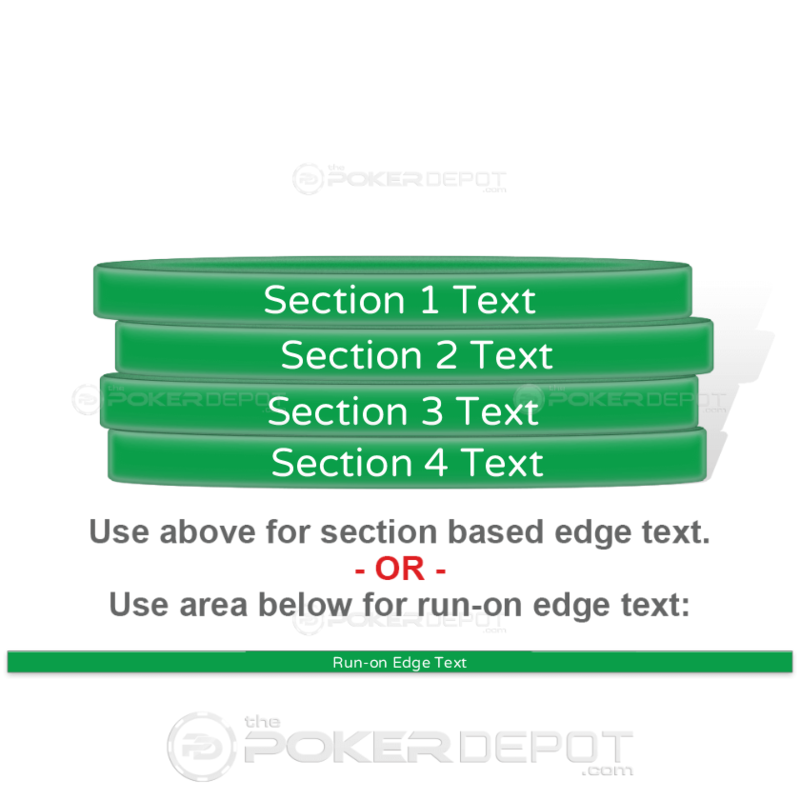 Edge stripe alignment is available on some templates. Colors may differentiate slightly from the screen to the final printed product. Average production time is 2 business weeks. Preview images may not be to scale.